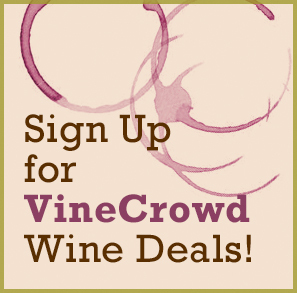 This is the first in a series of interviews with notable wine industry experts from VineCrowd. As part of my research for a post on sustainablity trends in the wine industry I have been interviewing several experts and will publish our conversations over the next few week in this blog. 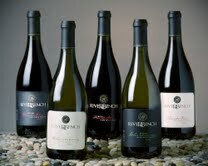 That said, no one has been more enthusiastic than Laura Mohseni, the General Manager of Riverbench Vineyard and Winery. JK: Can you provide readers with a little background on Riverbench? LM: Riverbench is a 420 acre vineyard in the Santa Maria Valley of Santa Barbara County, California. Most of the grapes were planted in the 70’s and 80’s, and for decades we’ve been selling premium fruit to other producers throughout California. In 2006, the property was purchased by some local families, and we started making our own label using these grapes. We focus on Chardonnay and Pinot Noir, the most abundantly planted varieties on our property. JK: What was your first job? LM: I moved to California 6 years ago to work in a tasting room and learn the wine business- my dad is a beer and wine importer in North Carolina. I worked my way up locally to become the youngest General Manager (and one of very few females) in Santa Barbara County, maybe the state? I’m not sure. But I’m super proud of that. I’ve also worked at Nordstrom, and learned many of my philosophies there: customer service and the importance of community. JK: How has the wine industry changed in the last 10 years? LM: The most dramatic change has occurred with this recession. Wine consumers are more savvy: they know what they like and they know they can get it for a good price. The advent of online wine sites like Woot and The Wine Spies has created a niche market for certain labels, while avoiding cannibalizing winery sales. And the green winery trend has really developed. We’re at a crucial point there; things aren’t really regulated right now, so the consumers are uneducated as to the definitions of “sustainable” and “organic” in the wine industry. All that’s going to change, wineries will need certifications, and it’s important to be on the forefront of that. JK: Riverbench is a Santa Barbara green business and a SIP certified green business. Why do you care about sustainability and what are you doing? LM: Sustainability has been important since the beginning for us. This is a family business, and will continue to be passed along from generation to generation. Not only do we want to preserve the integrity of our land and environment, but we want to make it a pleasant place to be in the future. This means that as a responsibility to our community and posterity, we should minimize our environmental footprint as much as possible. We’ve taken the time to renovate, not rebuild. We use recycled office supplies, wine labels, and boxes. As a small business, we want to take little steps to make a big impact down the line. My dad has been in the wine business for 40 years, but his hobby is organic farming. When you work with the planet and community responsibly, the gratification is so much greater. Personally, that’s been the driving force behind my own green efforts. JK: Any general comments, observations, predictions about the industry? LM: If you make a green claim, it will become more and more important to back that up and show tangible examples of what you’re doing and how you’re improving year after year. Certifications like ours (Santa Barbara Green Business and SIP Sustainability in Practice) are the driving forces there. When eventually you’re required by law to verify these claims, people will wish they got involved earlier like Riverbench and a few others are starting to do. JK: When you’re not drinking one of your own wines, what are you drinking? LM: I love Bubbles! Anything sparkling- the local Flying Goat Goat Bubbles is a favorite. I love European wines, especially French and Greek producers. I do look for producers who practice responsible winemaking- local, sustainable businesses are on the top of my list. JK: What’s your favorite place to grab a bite out? LM: Full of Life Flatbread makes amazing flatbreads using local ingredients. 2007 Pinot Noir Riverbench Santa Maria Valley 14.2% $28 Rating: 91 from Enobytes.com. All wine sales are accepted, made, invoiced and fulfilled by licensed wineries.